Its super soft fibres are gentle on the floor and tough on dirt. With its microfibre technology the dirt is attracted to the dirt like a magnet making for easy and pristine cleaning. Microfibre technology. Versatile Cloth Strands. Long, Thick Absorbent cloth Strands. Can be used on Vinyl, Tile & Wood Surfaces. If there's a problem, just let us know and we will fix it. Absorbent sponge mop. Integrated scraper. extra Refill head included. Flat design cleans floor fast. Addis Superdry Plus Mop. The mop acts like a sweeping mop collecting everything in its path. The mop head features an antibacterial agent which prolongs the mop life and reducesodours. The ultimate mop and fast drying, in one sweep it cleans, absorbs and dries all in one go, making it ideal for use on pet hair. 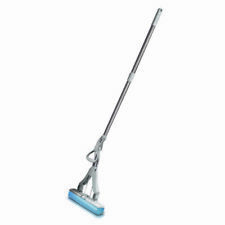 Addis Superdry Mop with Refill. Pickup from Dobsons in Slough. Any questions feel free to ask. Kd. 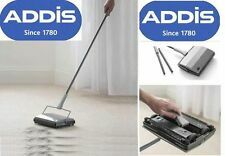 Multi surface floor sweeper from Addis Housewares. Folds flat for space saving storage. Easy assembly. carpets and hard floors. It will be answered. We aim to resolve any problem as quickly as possible. Stiff bristles for powerful clean. Available in linen colour. 4 x Thermos Reuseable Freeze Board - 200 g. SCOTTIE DOG FLEECE THROWS - Pink Cream Super Soft Blankets Sofa Bed Throw Ove. Do not send us back straight without confirmation. Item has never been opened. Novelty flower design. Color: Green/ Pink. General Interest. We are here to help! Addis Long Handled Dustpan and Brush Set Metallic 501043 - Long handle dustpan and broom - Long handle - takes the backache out of cleaning - Unique clip to hold broom and pan together for easy storage - Durable rubber lip provides optimum floor to pan transfer of dirt. - 88cm Height. Addis pot brush is also a built in scraper to clear tougher marks. Features: -Addis Brush is Built In Scraper. -Small Head For Easier Cleaning. -Shaped With A Hook On The End For Easy Hanging. -Long Bristles To Ensure Thorough Cleaning. Rubber lip creates seemless surface between floor and dustpan. Flower on head of brush. Hanging hook (head & handle). Novelty flower design. We are here to help! ADDIS cleaningsense cloth mop head refill. Mop head only. Gentle and highly absorbent to leave floors clean and dry. - Terry, Cardiff. Thick cloth strands for extra reach. Screws on and off handle. Length: 28cm. Excludes pole. Colour: Cream. Soft bristles for a more thorough clean. Addis Superdry Mop Head Sponge Refill Anti-Bacterial. Fits Addis superdry mop. Addis Superdry mop refil. Anti bacterial. Versatile cotton strands. - Terry, Cardiff. Easy to replace, just simply screw on/off the handle. Strands leave floors clean & dry. Can be used on vinyl, tile & wood floors. Addis Autoclavable Nail Brush. Tough brushes with easy grip handle. Large garden scoop bucket made by Addis Housewares. Made by Addis. Garden scoop bucket. Designed to lay flat on the ground and featuring a flat edge it can be used to gather waste in the garden such as grass and hedge cuttings or leaves. Revolutionary hinge head design. We are here to help! strong lever handle. Clean like never before with the Addis Spray Mop! When only a quick clean will do, the Addis Spray Mop is all you need. 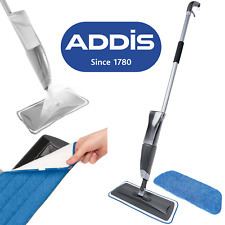 Addis Spray Mop. So, if you're looking for an efficient cleaning product - look no further than the Addis Spray Mop - for a cleaning experience with minimal effort! Firm dustpan to collect. Deep back/no spill design to stop dirt falling out. Colour: Silver. Item model number: 510390. Part Number: 510390. Product Details Material: Plastic. Deep dustpan to reduced spillages. Colour: Grey. Clip handle for ease of storage. Addis Twist Mop Metallic Grey, extra Spare Mop Head Option. Stewart and Gibson Ltd - Addis Dustpan and Stiff Brush Set - - Deep back to stop dirt - Stiff bristles for powerful clean - Available in linen colour - Measures 210mm width by 330mm height by 70mm depth. Addis cleaning sense bathroom wand, designed for effortless cleaning. Features a flexible triangular head with microfibre strands for lifting soap scum and water marks to leave a streak free finish. - Bucket - 10L capacity - Pouring spout and measuring scale - amount of water/cleaning liquids can be easily controlled - Comfortable grip handle - Easy to carry particularly when full. For use with the Addis Spray Mop. The special fibres make light work of mopping and this refill is also ideal for using when your old one is in the wash. Addis Spray Mop Refill. 1 x Addis Spray Mop Refill. Socket for handle (not included) to fit/ screw in (see Addis broom handle). Plant & Lawn Care. Stiff bristles for stubbon debris. Garden & Outdoors. Pet Accessories. PET (Poly-Ethylene Terephthalate) filled bristles. MaterialPlastic / Bamboo. Dust Pan & Brush Set. Dust pan and brush set. Plastic dust pan. We aim to resolve any problem as quickly as possible. Addis Spray Mop Refill. Suitable for use on sealed wood, vinyl, tile and marble floors. Cleans twice as fast compared to traditional mop & bucket. Suitable for use on almost any floor type. Makes cleaning floors easy. Strong fully enclosed dustpan body. We are here to help! Can be used for bailing water. Addis Multi Surface Floor Sweeper 515801 For Carpets, Hard Floors & Pet Hairs. Addis Multi Surface Floor Sweeper 515801 For Carpets, Hard Floors & Pet Hairs.. Condition is New. Addis 501043 Dustpan Since quite a while ago Took care of and Brush Set Ref. 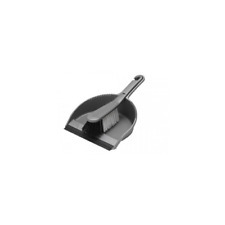 - Graphite Long Handle Dustpan Set. Long handle dustpan and broom. -This Addis jazzy structure is made far superior by the way that the long handle diminishes the sum you need to twist around, thus lessening spinal pain. VINYL, TILE AND SEALED WOOD FLOORING. INCLUDES 1 X REFILL. DESPATCHED WITHIN UK MAINLAND.